(HUBBARD, Ore) - 68-year old William E.C. Kennedy III, of SW Portland, died on impact when his aircraft reached an altitude of an estimated 100' upon takeoff and abruptly careened into a tree farm just east of the Lehhart Airpark. The FAA is investigating this fatal crash. William ‘Bill' Kennedy was piloting this plane while accompanied by his beloved Australian Shepherd, named ‘Charlie'. A witness reported seeing the aircraft in distress just after takeoff – then crashing into a ball of flames in a neighboring tree farm. Clackamas County Sheriff's report all appropriate family notifications have been respectfully completed with regard to the unfortunate death of a retired Air Force, Vietnam veteran, who died earlier today in Hubbard, when his homemade plane crashed shortly after takeoff from Lenhart Airpark, near S. Meridian Road and S. Whiskey Hill Road, in Hubbard (An unincorporated area of Clackamas County). Unbelievably, Kennedy's dog ‘Charlie' survived this horrific crash and ran from the scene of the burning debris. It seems instinctively; Charlie ran to a local grade school and was soon discovered by caring faculty members. Charlie was observed to be scared, smelled of smoke, had suffered a slight cut, with his fur and whiskers singed from the fiery crash. The school principal attending to Charlie recognized the flood of emergency personnel responding to the scene of the crash. 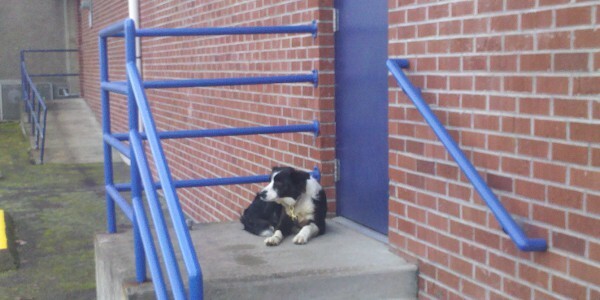 Soon the principal confirmed what she suspected had occurred to cause this frantic dog to suddenly appear on the school grounds in this frightened and frayed condition. Late this afternoon, a Clackamas County Deputy Sheriff and a Canby Fire Chaplain responded to the Kennedy residence in Portland to conduct the family notification alerting Kennedy family members of the regrettable death of William Kennedy III. The Clackamas County Sheriff's Deputy who had been summoned to the grade school earlier in the day to attend to the discovered dog, kept Charlie comfortable in his patrol vehicle until it was time to go to the Kennedy residence for the necessary, yet uncomfortable notification. This Deputy said, "These types of calls (death notifications) are the most difficult, but ‘Charlie' perked-up as we approached the house – he knew where he was now and that he was finally safe. Charlie had his tail-wagging as we approached the door and that made it a bit easier for me and the Chaplain……and I hope for the grieving family involved." Tim King: Pete, this is a press release just changed up a bit. For the record I am a bit of an aviation reporter, and there are some interesting stories on Salem-News.com that you may find worthwhile. Something I have had fun with is photographing old MiG's in places like Iraq and Afghanistan. I also had a chance to once fly with Bill Reesman wing to wing with his MiG-17; that is what got me hooked, along with spending time around several MiG's years ago at Nellis while working as a reporter for KVVU FOX-5. During that time I had the great opportunity to climb into an F-16 and fly for an hour and fifteen minutes over Death Valley. Finally, I have also spent a great deal of time investigating crash sites. One of those investigations led to the production of a documentary called Fallen Fortress at Cape Lookout that was for Oregon PBS. My more recent aviation adventures involve flying in the Marine's new V22 Osprey in Iraq, and also flying in all kinds of aircraft in different situations in Iraq and also Afghanistan. All are available under the military and aviation links. That was a very loving tribute.